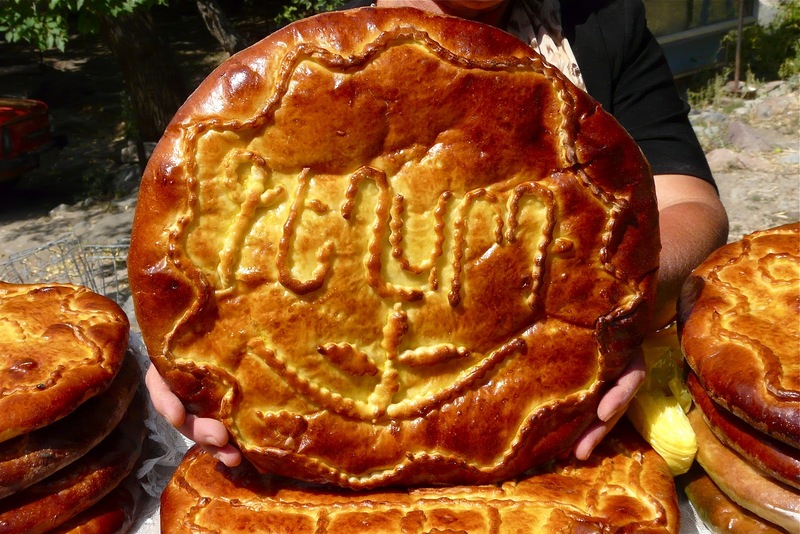 The most astounding thing about Armenian food is that it is still organic. That’s why tourists visiting Armenia just can’t stop eating our fruit and vegetables as they are all natural, and the smell of real natural apricot, peach or tomato won’t leave you indifferent. They say fruit and vegetable are so tasty in Armenia because of the rocky land and the Sun. 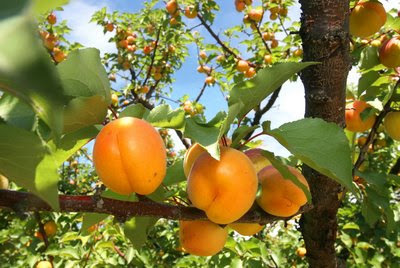 Armenia is rich with various sorts of apricot, peach, cherry, apple, fig, pomegranate, grape, plum, quince, pear, etc. 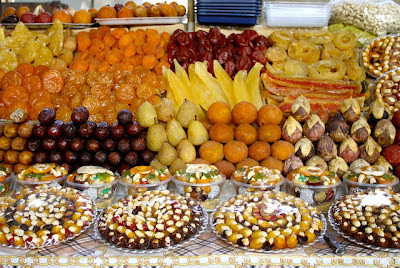 In general, landladies make various desserts from the fruit, like jams and jell, dried fruit, raisin and cakes. Armenian food is rich with vegetables, greens and spices too, like tomato, cucumber, pepper, potato, melon, watermelon, onion, eggplant, squash, parsley, basil, cress, coriander, dill and the list is endless. 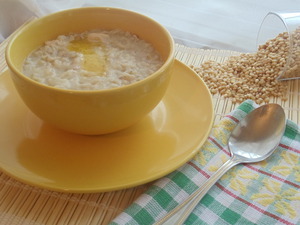 Armenians also cultivate wheat, rice, peas, beans, walnut, hazelnut and almonds. Now just imagine the meals prepared with those tasty vegetables and spices with the greens and herbs. Some very famous Armenian food is must to tyr when visiting Armenia. 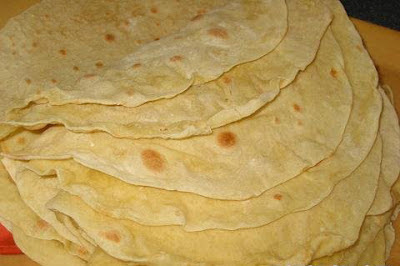 Lavash is the popular national Armenian bread, without which no festive dinner can pass. It is a very thin layer of bread cooked in an underground clay oven. 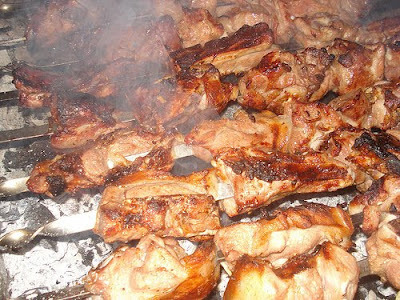 Khorovats, Armenian barbecue is another national food, which you must taste. It is made of middle cuts of pork that you need to marinade with spices beforehand and barbecued outside on the coals of fire. Pakhlava is a very delicious dessert; it’s a sweet pastry of filo sheets with honey and walnut.